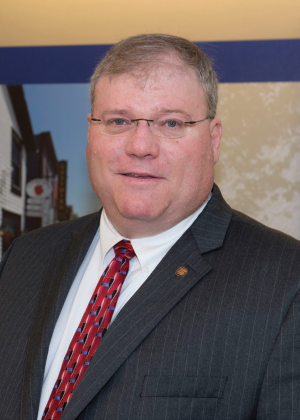 Over 30 years as a banker, John recently joined Burke & Herbert Bank as a Principal Vice President/Credit Officer. He previously served clients with Sandy Spring Bank in Fairfax for 7 years and with First Virginia Bank (now BB&T), in Northern Virginia and the Maryland DC suburbs of over 16 years. John has served on many boards including Leadership Fairfax, Inc., the Fairfax County Chamber of Commerce, the American Cancer Society Relay for Life (Reston), The Rotary Club of Reston, and the Business Finance Group. He is active at Centreville United Methodist Church where he has served as the chair of the Life Stewardship Committee, and served on the church Finance, Staff/Parish Relations, and Christian Education Committees. John has been involved in other community activities directly including Boy Scouts, Southwest Youth Association, Neighborhood Watch, and various high school/community sponsored sports. John is a graduate of The Ohio State University. He married his high school sweetheart after meeting her at Robinson Secondary School in Fairfax, Virginia. He and his wife have three grown children who grew up in Fairfax County.